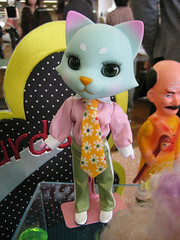 Before I start with the Dollshow reports, I wanted to talk about this exhibition and the new Dollybird. Some of the articles to come are going to mix the Dollshow and this event, so I thought it might be interesting to introduce it first. 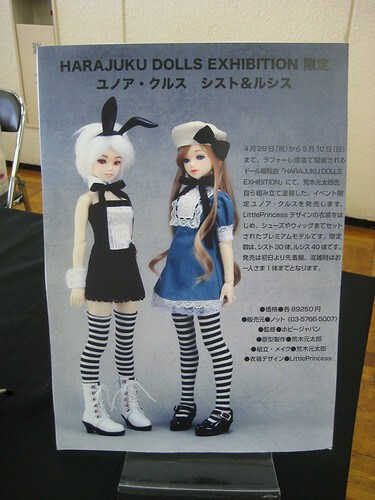 Harajuku Dolls Exhibiton, or HDE, started on April 29th in the Laforet Museum (Laforet is a big department store in Harajuku, Tokyo). It will be on until May 10, and I definitely recommend going to see it if you’re nearby, because it’s great! The entrance fee is 700 yens. 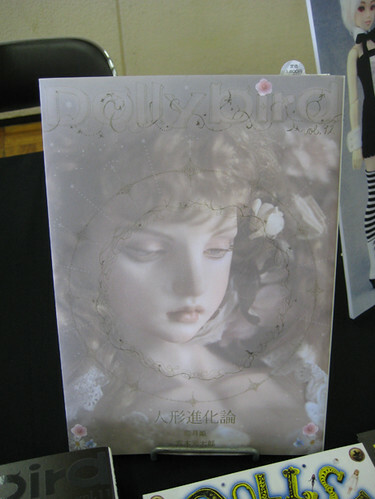 This event is closely linked to the new issue of Dollybird (a japanese doll magazine), which is released this month. For this new issue they contacted several people from the dolly world and gave each of them a few pages to show pictures of their work. Each section ends with what I suppose is an interview of the creators. I first heard about it last February, after the Doll flea market when Hiroko-san from Kogumaza and Hiroko-san from Daisy-D talked about it. They’re both featured in the magazine. Kogumaza-san wanted to collaborate with the creator behind Hard Pain for the setting of her pictures and some accessories (he does amazing stuff). 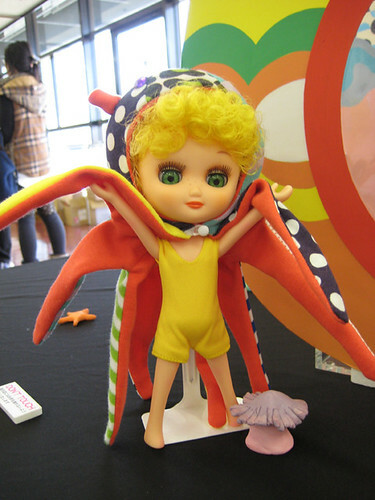 It turns out most of the dolls featured in the magazine are exhibited at the event. 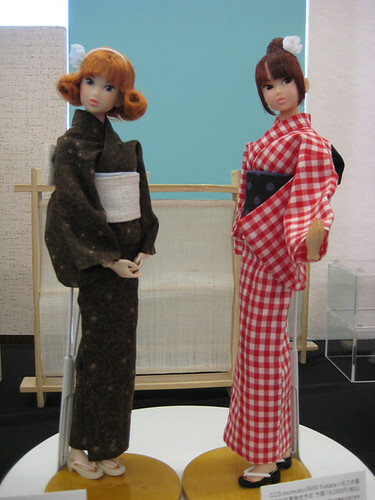 Or most of the dolls exhibited at the event are part of those featured in the magazine, as you prefer to put it. Not all the artists taking part in the exhibition are featured in the magazine, but most of them are. So the magazine ends up being a kind of summary of the exhibition. 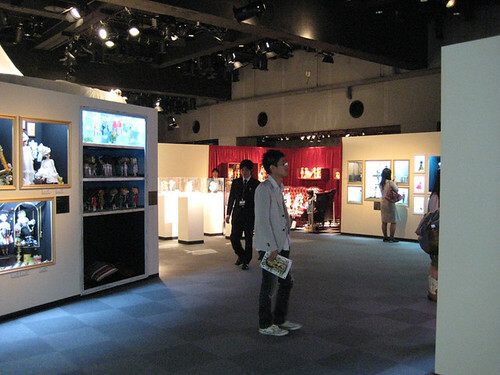 It doesn’t contain pictures of the exhibition itself, but it contains roughly the same dolls. Plus almost all the creators are giving a free pattern inside. So you can find work from all those people at the event, plus Elolita and Spica. This exhibition is really great. I think it’s one of the best doll exhibition I’ve been to. The space is divided by some kind of walls, so you discover the whole thing slowly, you can only see a little bit a first, then you get to see more, until you arrive at the center space wich is bigger. Most of the work is shown as frames: the walls have rectangular cavities where the dolls are set, lined by a frame. It looks like painting in a museum. This idea is really nice, because each “frame” can have its own setting and atmosphere, and can be enjoyed separately from the rest. You can appreciate each set at its best. 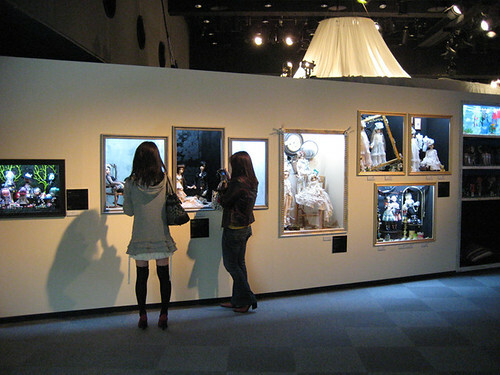 The section devoted to Koitsukihime was different: the space was bigger, the dolls being exhibited in a circle area protected by a dome of white drapes. Sadly pictures were forbidden there. It was the first time I saw those dolls for real. The work done on them is really impressive, with lots of details and realism. 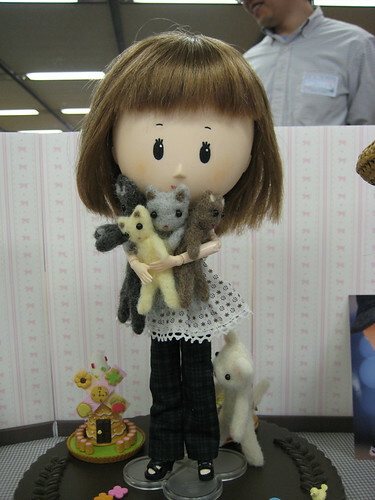 But I’m not a huge fan of the dolls themselves (meaning I wouldn’t want to get one for me). Another small section was devoted to Blythe, with a few dolls exhibited on pillars under glass protection as usual in Blythe events. Just beside this area was the section for Alchemic Labo/U-noa: the different types of dolls, a huge number of Lusis and Sist customized and dressed by Little Princess, which are being sold there (I thought I was going to get crazy seeing so many of them at the same place, and for sale! 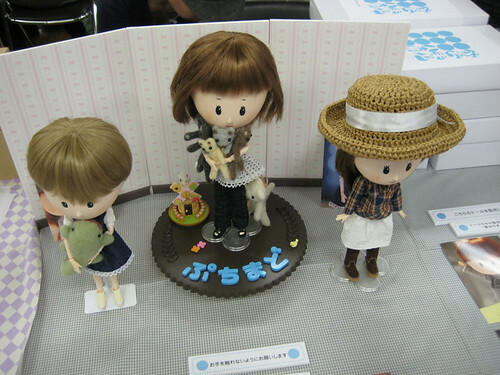 ), and a few display cabinets devoted to their new doll series! 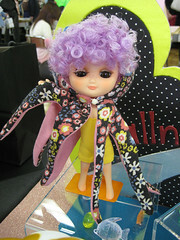 The big news for me when I could get a glimpse of the Dollybird at the Dollshow was the release of those dolls. 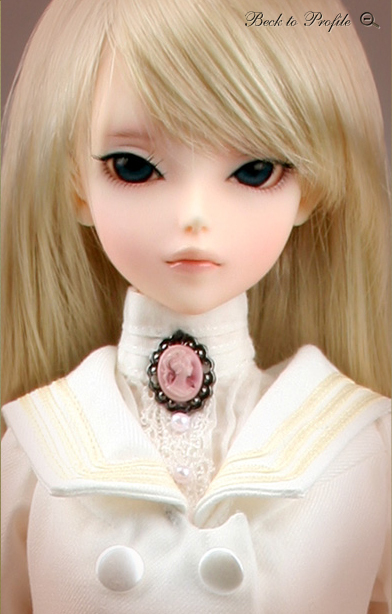 Maybe you already know about this, but I don’t have much time to go read the dolly communities nowadays, so I didn’t know anything about those new dolls. And they were exhibited there at the event! I took a few pictures to be able to show them, and I might take a few snaps of the magazine also. Prepare for a post about those soon for all the details. Here’s their names, judging from the tag I saw: Roron and Ririn. 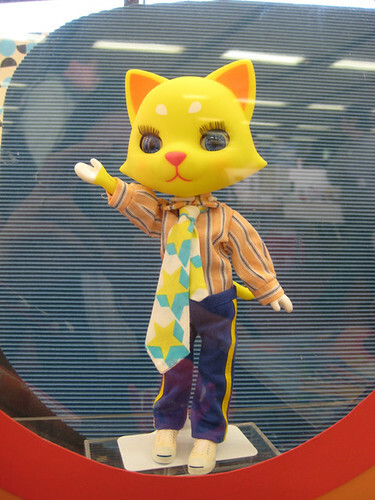 The last part was more business-like: it was a space devoted to several doll brands to showcase their dolls and products. 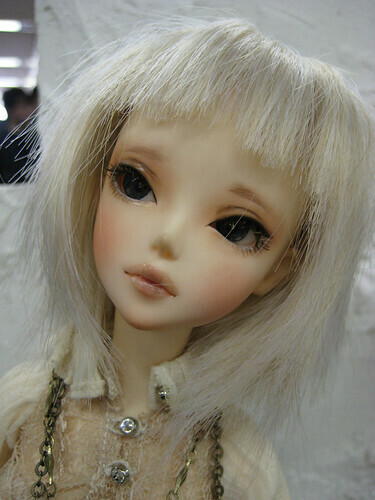 It was interesting because there were many different kinds of brands and dolls, some of which I’m not used to see here. Here’s the list of the brands I remember: Azone (Pure Neemo), Integrity Toys, Momoko & U-noa Light (Sekiguchi), Pullips (exhibiting the Angelic Pretty dolls, so I was able to get a picture of those), Moof, Kinoko Juice (with their original doll Kiki, I’ll talk about her later), Momolita (Mottee, Momolita Preta, Nano Haruka and her new sister), Minoru World, Ai, Luts. Plus at least two others I don’t remember. When you get out of the exhibition space you arrive to the shop, where you can find losts of nice products. I guess you could find even more the first day, but I wasn’t there to see. 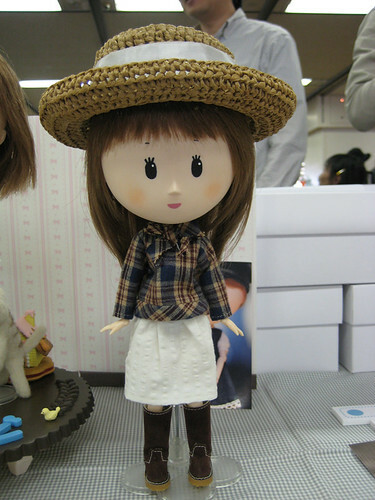 Most of the exhibited dolls are also for sale, I think you have to ask one of the staff members if you’re interesting in them. I really really really enjoyed this event! You get the fealing that everything was carefully planned, prepared and thought out. 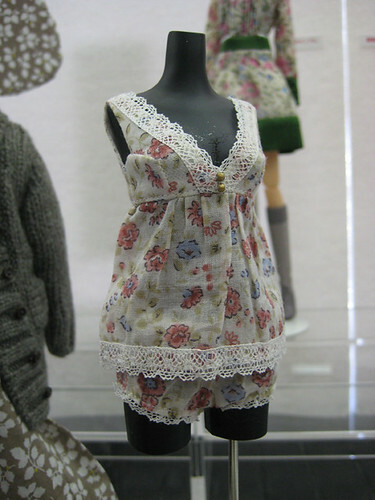 The dolls and outfits are wonderful. And the settings are really great. I was also very happy that you could take pictures of almost everything. But of course my two batteries had to go dead before I took pics of everything! I forgot to charge them again after the Dollshow… -_- I had to fight real hard against my camera to be able to get everything. I guess the camera won, saddly… I even had to use my phone camera in the end! But I think I got a glimpse of all the displays. It’s just that you won’t get as many detailed photos as usual (but maybe you’ll be happy of that, I know I take lots of pictures ^^; ). You can see a few preview pics in this post, I’ll sort out the others and post everything on Flickr later. Hope you’ll enjoy this as much as I did! P.S. : the first picture at the top comes from the official site.